Daily skincare routine - Cherry Colors - Cosmetics Heaven! Today I wanted to talk about something we are all interested in (or maybe just curious?) - skincare. I wanted to walk you through my daily skincare regime. For now it is plain and simple, made of only two products :). First thing in the morning I wash my face with cold water. If it looks extra oily and gross I use my Alverde facial cream cleanser. 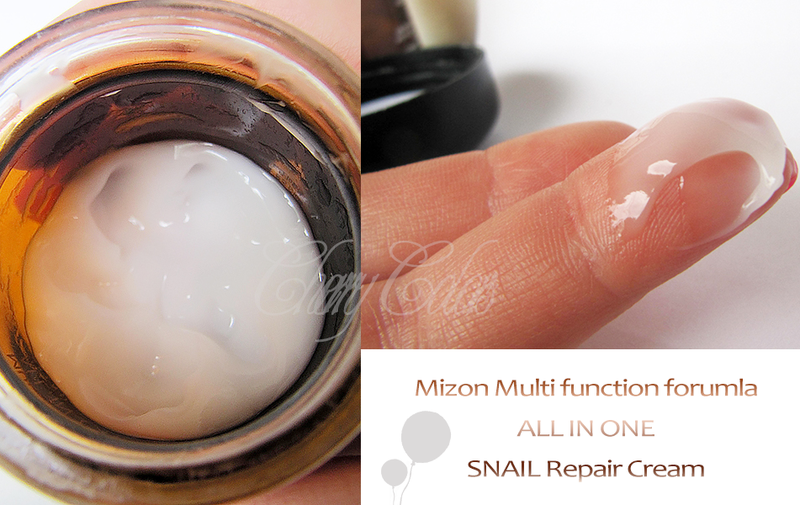 Then I apply the Mizon Snail repair cream (~14€) all over my face, neck and decolte. A small scoop is all I need. I am already running out of it (got it in February), so I may be overdoing it sometimes. The cream spreads easily, has a light texture and works well with my face. 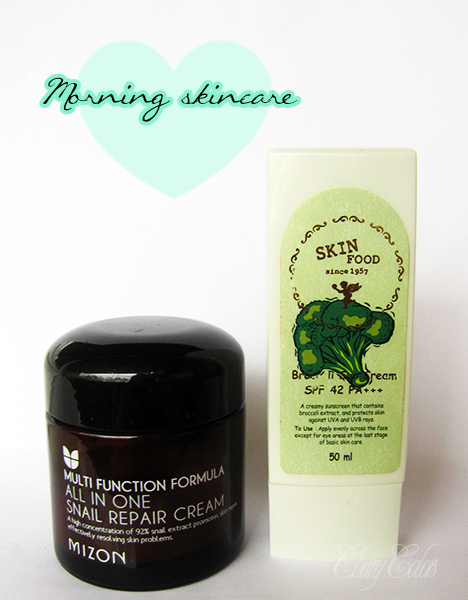 It isn't all that moisturizing, that's why I sometimes pair it with Alverde Wild Rose oil (~4€). But only sometimes, because it is time consuming for the oil to completely absorb. 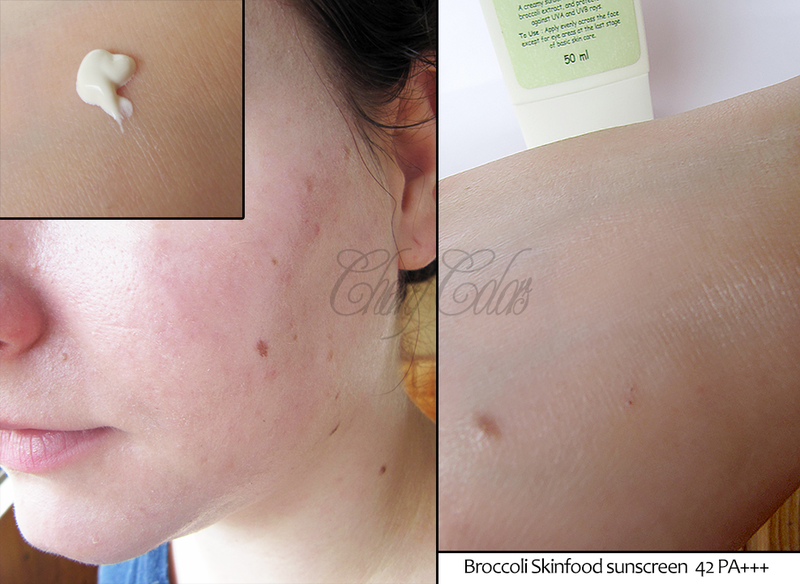 The next step is the Skinfood Broccoli Sunscreen (~6€). I was worried that this sunscreen will break me out, but I was lucky. It feels a bit heavy on the skin the first time I apply it, but then it settles. It is also a great base under my make up. Sadly I am already running out! Hopefully my next one (one from our store) will be as good as this one is.